With your support we can honour the Police Officers who have died in the line of duty ! This year we have committed to provide over $1.1 million to public hospital projects. This can only be achieved with your support. We were excited to mark our 30th anniversary in 2018 with a commitment to the largest single community project we have funded. The new Critical Circulatory Support Service at Eastern Health’s Box Hill Hospital in honour of all Victoria Police Officers who have died in the line of duty. This new service will be led by Eastern Health’s Cardiology and Intensive Care Unit teams. The funding will deliver equipment and establish a training centre to enable Eastern Health to provide artificial heart-lung support. It will also allow Box Hill Hospital to immediately rescue and best treat any patient experiencing life threatening heart or lung failure. 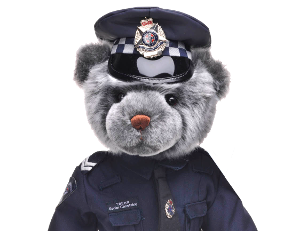 Each and every name of 164 Victoria Police Officers who have died in the line of duty will be displayed on a plaque at Box Hill hospital so that those who have use of this life-saving facility will know that the price of its existence extends far beyond the financial cost. Your support will also help our public hospital projects at Gippsland, Heathcote, Bendigo and Geelong.